For those who have a new baby- Be sure to wipe your baby's gums with a small washcloth or gauze pad after each feeding. This will help clear away food residue & stimulate the gums. 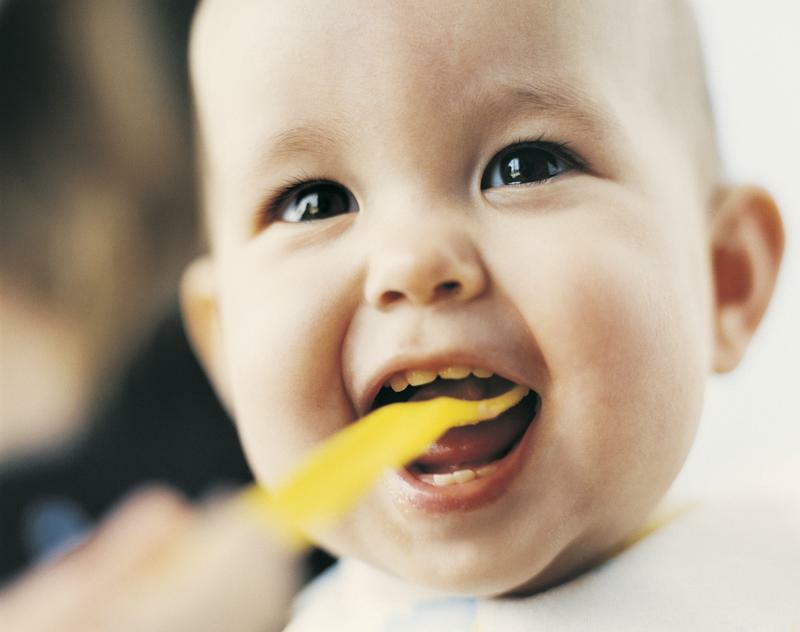 When the baby's teeth start coming in, use a small soft-bristled wet toothbrush to clean them. Nursing bottle syndrome - To prevent decay, avoid giving your baby a bottle filled with milk, formula or juice for long periods of time or when they go to bed at night. Extended exposure to the sugar in these liquids can cause teeth to discolor and decay. Instead, fill the bottle with water at bedtime. Begin dental visits early -The ADA of Pediatric Dentistry recommends that your child see a dentist by his or her first birthday. 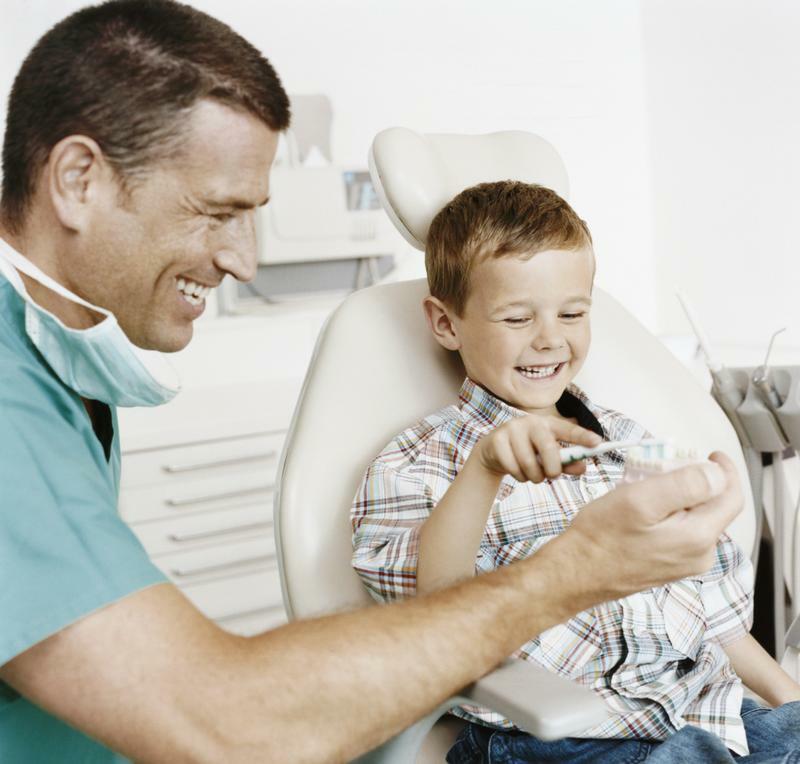 That way they will become familiar with the surroundings & sounds of a dental office so they will not be afraid. When to teach your child to brush - Children are usually ready to learn how to brush their teeth by age or 3. But you will have to brush any spots they missed. Due to the dexterity ​they will need to be supervised until about age 7. Allowing your children to eat excessive amounts of junk food (starches and sugars)-including potato chips, cookies, crackers, soda, even artificial fruit roll-ups and granola bars-only places them at risk for serious oral health problems down the road, including obesity, osteoporosis and diabetes. The carbonation found in soda, for example, can actually erode tooth enamel. Encourage your child to use a straw when drinking soda; this will help keep at least some of the carbonated beverage away from the teeth. GENERAL & COSMETIC, MERCURY-FREE DENTISTRY FOR THE ENTIRE FAMILY! Welcome! Dr. Shain is a private dental practice located in the heart of Riverside. We know that building a foundation of trust by treating our patients as special individuals is vital to our success. We understand how uneasy some patients may feel about their dental visits, our goal is to provide a relaxing and positive experience. Our entire team is dedicated to providing you with excellent, personalized care. To make your visits as comfortable and pleasant as possible, we have nitrous oxide available. We thank you for visiting our website and look forward to meeting you and taking care of your dental needs. A. Central Incisors 6-10 mos. 7-8 yrs. B. Lateral Incisors 8-12 mos. 8-9 yrs. 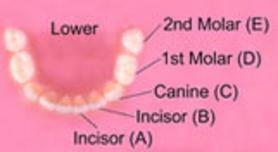 C. Canines 16-20 mos. 11-12 yrs. D. 1st Molars 11-18 mos. 9-11 yrs. E. 2nd Molars 20-30 mos 9-12 yrs. A. Central Incisors 5-8 mos. 6-7 yrs. B. Lateral Incisors 7-10 mos. 7-8 yrs. 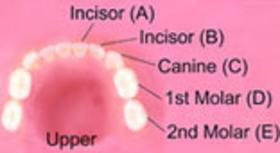 C. Canines 16-20 mos. 9-11 yrs. D. 1st Molars 11-18 mos. 10-12 yrs. E. 2nd Molars 20-30 mos. 11-13 yrs.